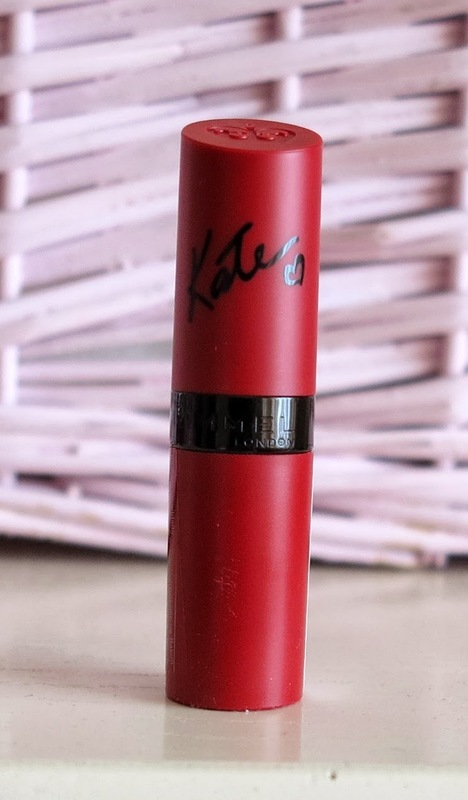 But when I saw the Rimmel Lasting Finish by Kate Moss, I couldn´t resist to try at least one out. 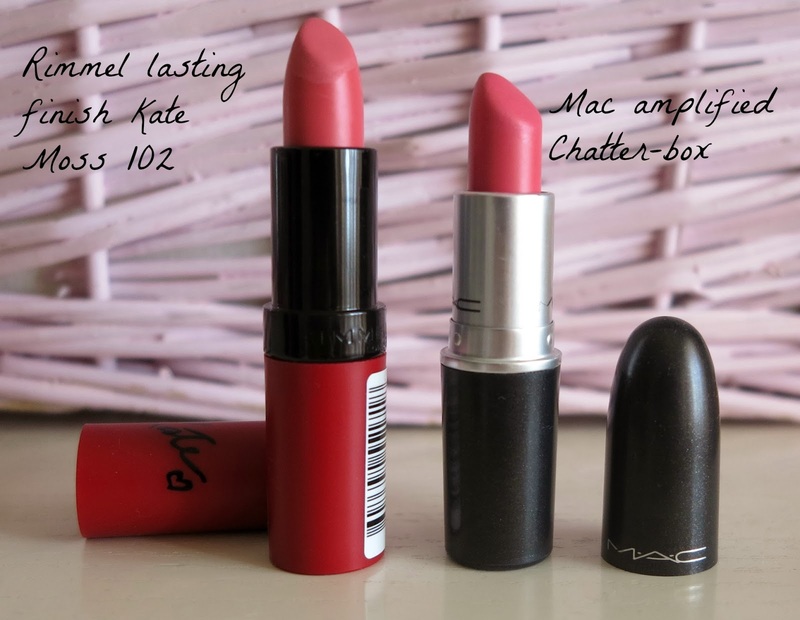 At first, I was mostly moved by the shade of the number 102, a kind of mid-toned pink very similar to Mac Chatter-Box. Obviously, they have different finish. 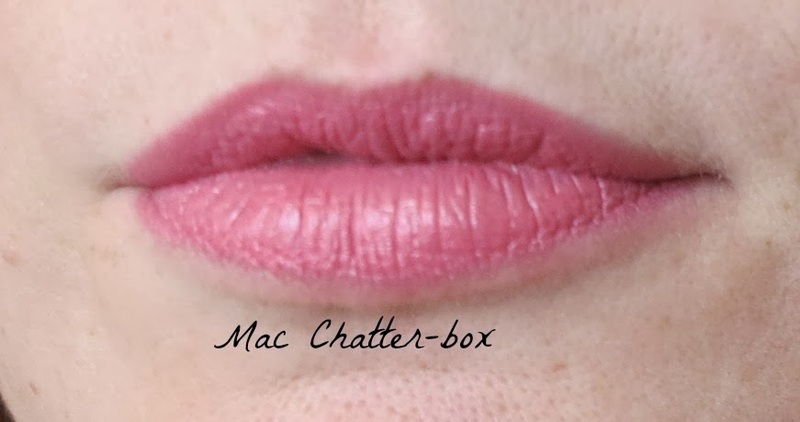 Mac Chatter-Box is from the line Amplified, so it is still a quite matt shade but definetely more creamy and the shade is a bit more pink than peachy-pink Rimmel´s lipstick. I was also quite disappointed by Rimmel Lasting Finish because the formula is so dry on the lips. 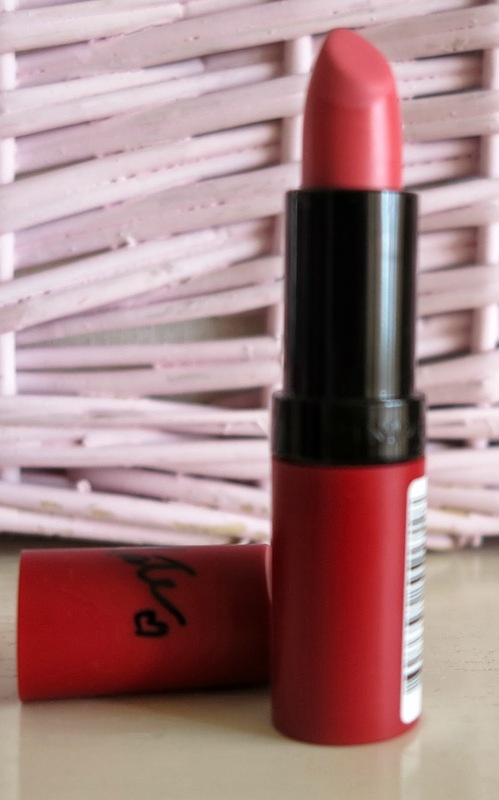 Although I used first a lip balm, this lipstick points up even more the lip lines and after just few minutes the colour sinks in to the creases of the lips...not so nice! On the other side, I think that the colour is very nice and perfect for daily use. 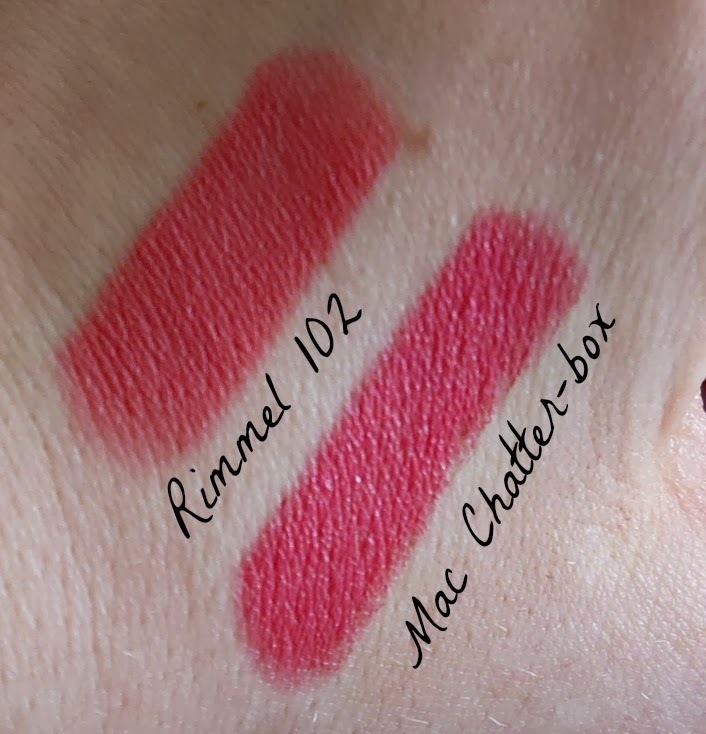 So I think I will give it a second chance...let´see if applying on the top some extra lip balm, it will solve the problem :) I bought the Rimmel lipstick in Turkey and totally forgot how much I paid it - sorry!, but I paid 16 $ for the Mac Chatterbox at Mac Store in Miami. 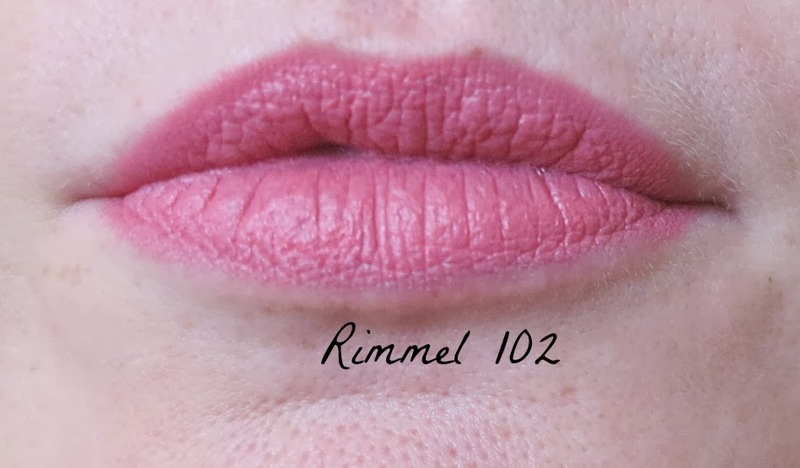 Did you try these Rimmel Lasting Finish lipsticks?How was your experience? Let me know in the comments below! Ciao belle! Molto interessante questo paragone, il colore mi piace un sacco ma se secca troppo le labbra non so se fa per me che le ho già secche di mio.